Would love to go with a program that not only has the coolest features but has a motivated developer. Cost is irrelevant although free is always better. An arcade cabinet is such a logical use as a jukebox when not gaming, let's get pumped about music and jukebox software again. I made it perfect by downloading a skin provided here http://forums.hackaday.com/viewtopic.php?f=3&t=61&start=10. This skin removed a couple of unwanted buttons ("setting" and "about"), plus a few logos, as well as increasing the size of each CD image by a very attractive amount. I actually like Touch Jams .........very easy to use. 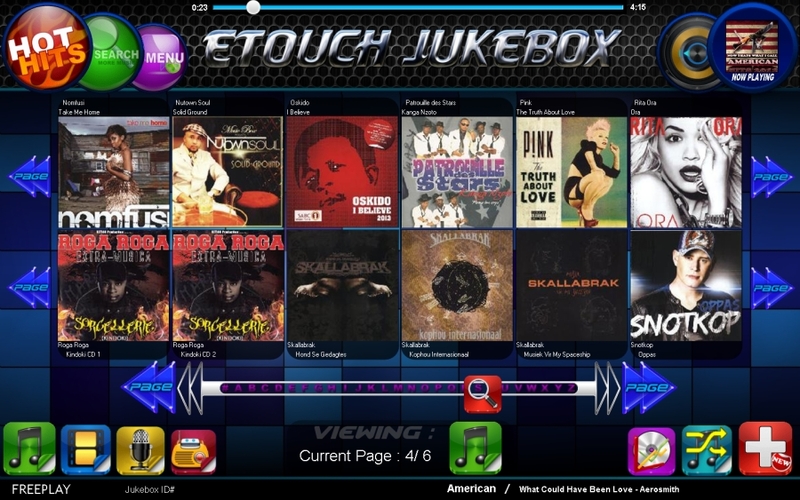 To add/remove music,videos,karaoke and internet radio. Program is not free($50), but check out the demo.Supports second screen. YAY!!!! ! I don't have to finish writing my jukebox software anymore!!! (that I abandoned 3 years ago and never got back to). Page created in 0.313 seconds with 62 queries.